It is still under development, and still consists mainly of ideas. On this page I will share some of those ideas. 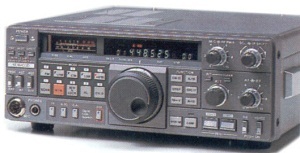 Due to lack of space, it will be a 432 MHz system. 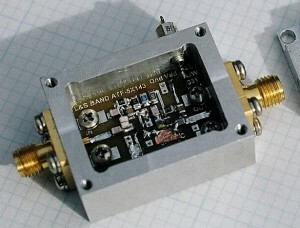 A key component is of course the antenna system and I’m thinking of using the design by DK7ZB or YU7EF. From previous experiments, I have 23 elements Cue Dee antenna material and I can use those for the new antennas. Stacking four of those would be a nice start. DK7ZB 16 Elements 5.5 WL boom. DK7ZB antennas use 28 or 12.5 ohm impendance, why 28 Ohm? for the VHF-Bands (50-50.5MHz, 144-146MHz, 430-440MHz) a radiation resistance of 25-35Ohm has the best balance for gain, back- and sidelobes, bandwidth and SWR at tenable losses in a Yagi. All YU7EF antennas are optimized for pure 50 ohm feed impedance with minimum possible reactance to avoid need for some of specific feed solutions and impedance transformations such as Gamma Match, T-Match, Hairpin etc. This way all antennas have very low internal loss and very good efficiency. 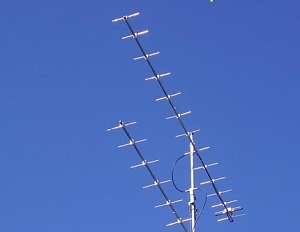 To connect the antennas, I use the following system which uses square or round aluminum profiles. It will also provide the impedance matching. Maybe an ATF54143. The ATF54143 is a PHEMT device from Agilent technologies that can provide low noise figures combined with high signal handling characteristics.